Okay I have to admit when I first saw this story, I thought we were talking about a man with 16 BIOLOGICAL kids and I thought “Woah and I thought *I* had a lot of kids!!!”. 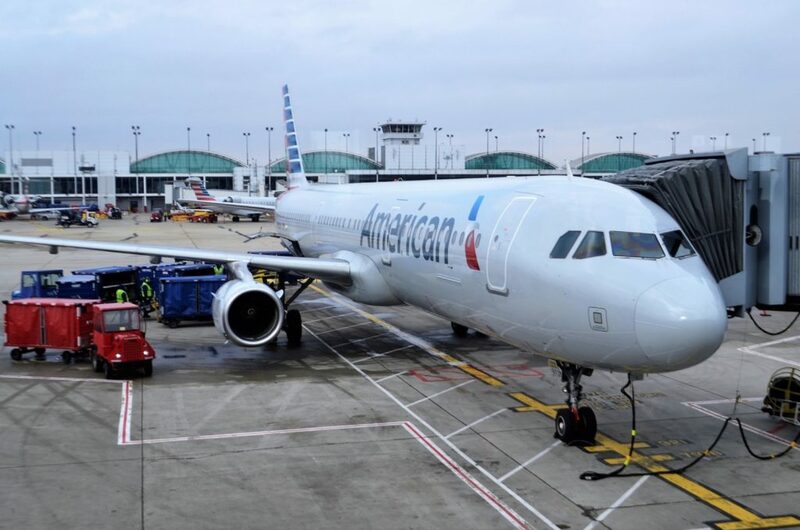 As it turns out, this story involves a man named Mark Westphal, a Minnesota history teacher who was chaperoning 16 middle school kids (ages 11 to 14) as they returned from a trip to Washington DC on American Airlines. Mark Westpfahl, a Minnesota history teacher, was chaperoning a group of 16 middle school kids ages 11 to 14 on a trip from Minneapolis to Washington DC along with (at least) one other teacher. On the return flight back, the flight was overbooked, and he was denied boarding. He was given a $525 voucher, a hotel room and rebooked the next day. That’s as far as I can get with undisputed facts. Mr. Westphal asserted that the denied boarding was involuntary, while (at least initially), American indicated that he voluntarily chose to take the voucher voluntarily. So, my trusted best friend chaperone will be on the flight with our #CHCougars alone. Again, I’m not sure what exactly happened, based on the limited information that’s come out. My guess is that the chaperones thought that they were being involuntarily boarded. It’s certainly possible that the gate agents gave them that impression (either intentionally or not). For people that are not frequent travelers, it’s totally understandable to not fully get the nuances between VDB and IDB and what your rights as a passenger may be in either case. Or… it certainly wouldn’t be out of the question that the American gate agents didn’t follow their own policies and procedures (which preclude bumping a chaperone of unaccompanied minors, though maybe since there was a 2nd chaperone this didn’t come into play? ), and then spent the next bit trying to backpedal as the story blew up on them. In any case, it continues to boggle my mind how involuntary denied boarding remains a thing. There’s always a price people! United gave one lady a TEN THOUSAND DOLLAR voucher in one case. You’re telling me you couldn’t have found one volunteer on this flight for a 5 figure voucher? Dan, you ask “You’re telling me you couldn’t have found one volunteer on this flight for a 5 figure voucher?” They did better than that, they found someone who was unfamiliar with the rules for a 3 figure voucher of $525, not even hard cash. Difficult to believe that a teacher took involuntarily boarding leaving his pupils, even if there was another chaperone. If he had done that just to get a free night in a hotel and a voucher, he surely risked losing his job. In today’s world, overbooking should be an illegal practice. If an airline is worried about last minute cancellations then their cancellation policies should reflect that and financially make up for it. Many airlines can make up the difference from a cancellation fee, or non refundable ticket, however others have found that simply charging a higher cost on a “flex” type ticket makes up for lost revenue from last minute cancellations. The only time someone should be able to be bumped from a flight is if A) there was an issue with the original aircraft and a replacement doesn’t have enough seats, B) there is some kind of emergency or last minute addition (air marshal) that the airline may not have control over, and finally C) on small aircraft where weight and balance become an actual factor. Well A) is what seems to have happened here.